If you’re looking for ways to Marvel up your holidays, I have good news for you. On December 18, 2018, Marvel’s Venom movie will be available on 4K Ultra HD™ Combo Pack, Blu-ray™ Combo Pack and DVD. Just in time, too! 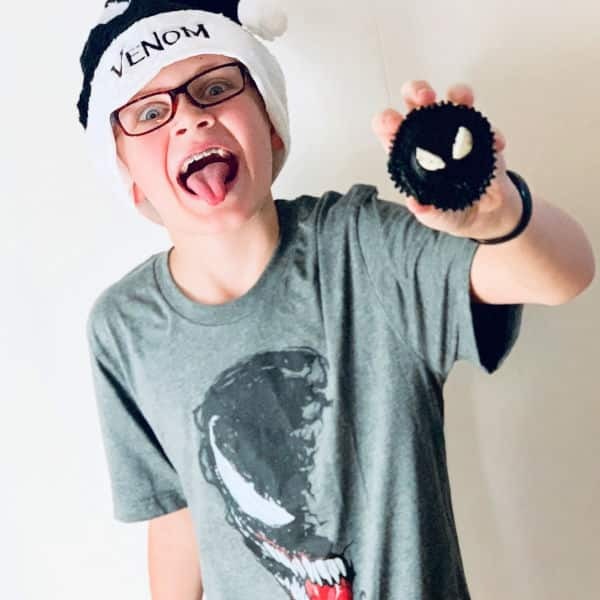 My kids were drawn to Venom the second they saw the first trailer and while they will have to age up a little to see this one, Mom and Dad can watch the movie while they enjoy Venom fever in other ways like wearing fun t-shirts, hats and sweet candy filled cupcakes! Thanks to Sony Pictures for sending us this movie and prize pack to enjoy! Keep reading for all the details and be sure to stick around til the end! 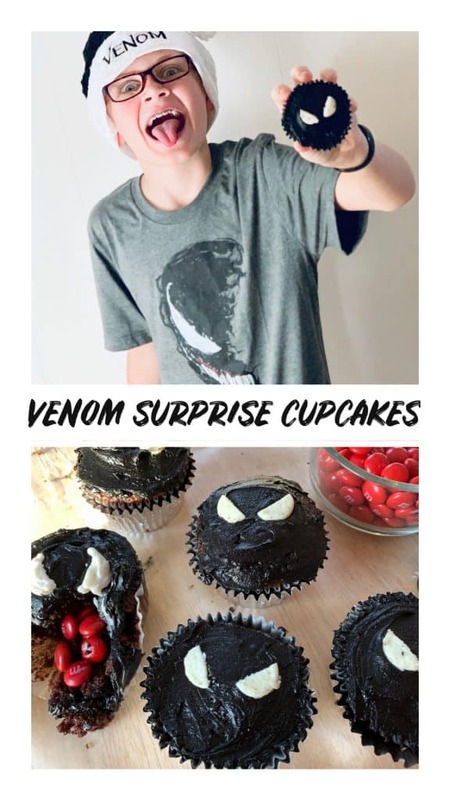 I’ll be sharing how to make our yummy Venom candy filled cupcakes, which are super simple. I’m also giving away an awesome tee and Blu-Ray of the film full of bonus content so one of you can have your own Venom movie watch party! Synopsis: Eddie Brock (Tom Hardy) is a broken man after he loses everything including his job and fiancée. Just when his life is at its lowest, he becomes host to an alien symbiote which results in extraordinary superpowers – transforming him into Venom. Will these powers be enough for this new lethal protector to defeat great evil forces, especially against the far stronger and more weaponized symbiote rival, Riot? Watch the trailer below if you haven’t yet seen the movie. If you have, feel free enjoy it anyway. One of the best parts of buying a film rather than streaming it is all the amazing bonus content. And boy does Venom have bonus content! Check out all of these extras. I can’t wait to watch them all! Because the folks at Sony Pictures packed in so much bonus content, I decided to give you a little bonus content of my own. Y’all know I never need much of an excuse to play with my food! My boys are both under 10 so we’re holding off on sharing the Venom movie with them. But that doesn’t mean there isn’t fun to be had, which is where my idea for these candy filled cupcakes was born. Candy filled cupcakes are surprisingly easy to make and I couldn’t think of a better treat to go along with this movie. 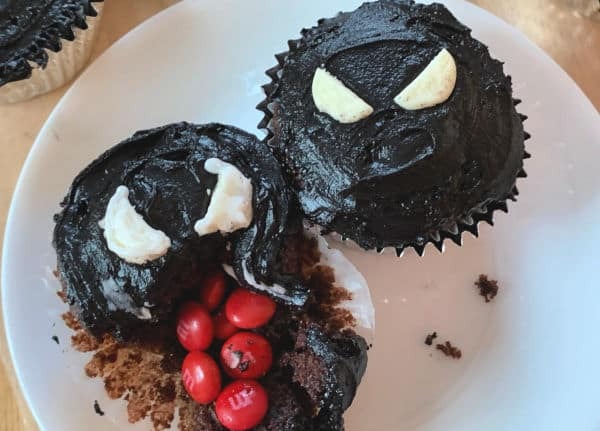 Venom’s iconic red tongue is unmistakable, so I filled my cupcakes with red chocolate candy and frosted the tops with black icing. Biting into the cupcake gives a fun surprise and I like to think it’s a little tribute to this iconic comic book character. 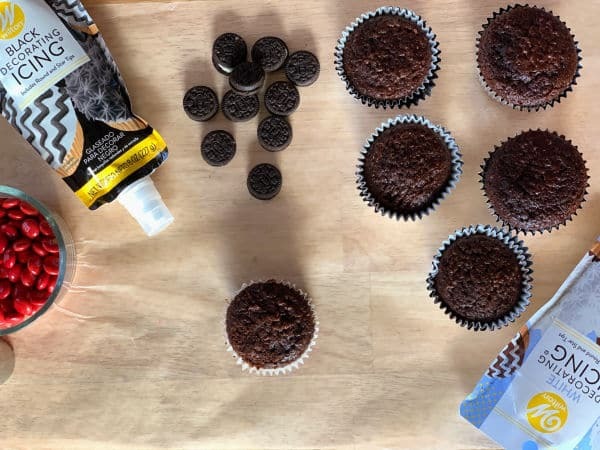 To fill your cupcakes, use a small circular cookie cutter to remove the center of the cupcake. You’ll need to keep the piece you remove to add back to the top once the candies are in, so set it aside while you add the candy. Then, slice off the excess cake so the circle is level once you put it back on. Once this is done, you’re ready to frost! Making black icing from scratch is pretty tricky so I recommend buying black icing instead. You don’t want it to end up with a purple Venom! Save that color for Thanos. I tried a few different techniques for Venom’s eyes and decided that the inside of a mini chocolate sandwich cookie sliced in half was perfect! This was the easiest way to have a uniform look for all the cupcakes. I opened the cookie and carefully removed the creme filling by sliding a butter knife underneath, keeping the circle intact. Then I sliced it in half and boom, eyes! That’s it! 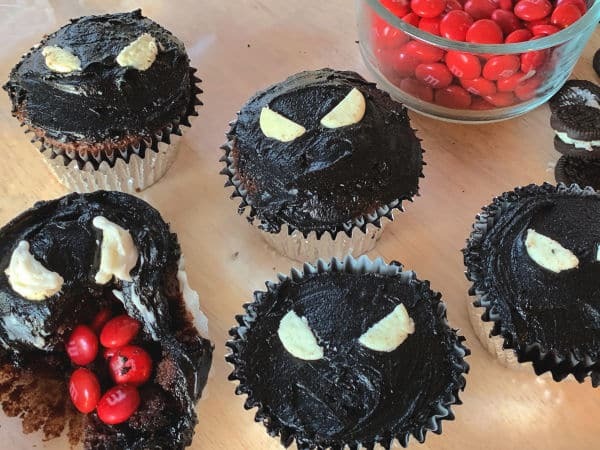 You’re ready for a delicious Venom Movie party. 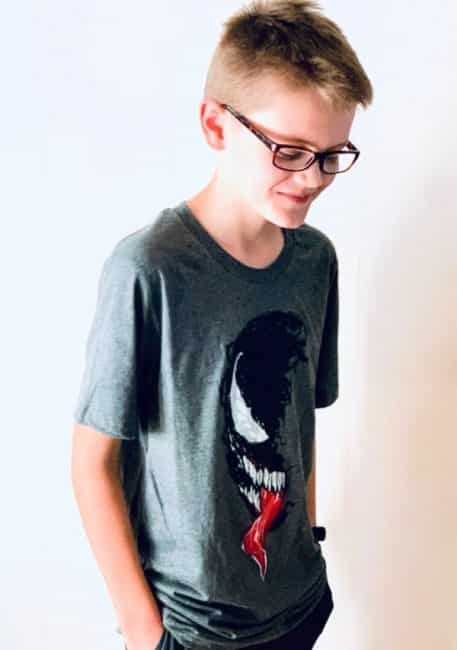 Want to win your own copy of Venom on Blu-Ray and a sweet Venom tee for your kiddo? Of course you do! 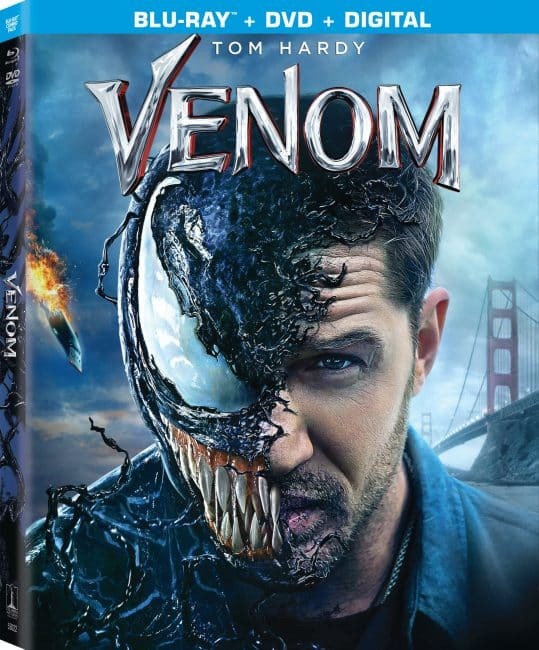 To enter for a chance to win Venom on Blu-Ray and a Venom t-shirt (size Adult Small), leave a comment on this blog post and let me know if you’re done with your holiday shopping or your fave gift. That’s it! Entries accepted until January 1, 2019 at 11:59pmET. One winner will be chosen on January 2, 2019 (wow!) and notified via email. Please reply within 48 hours or I will have to choose someone else. Other than that, US entries 18 and older only please. Good luck! I wish I was done with Christmas shopping but if started a little late this year! Done with the shopping, but not the wrapping. 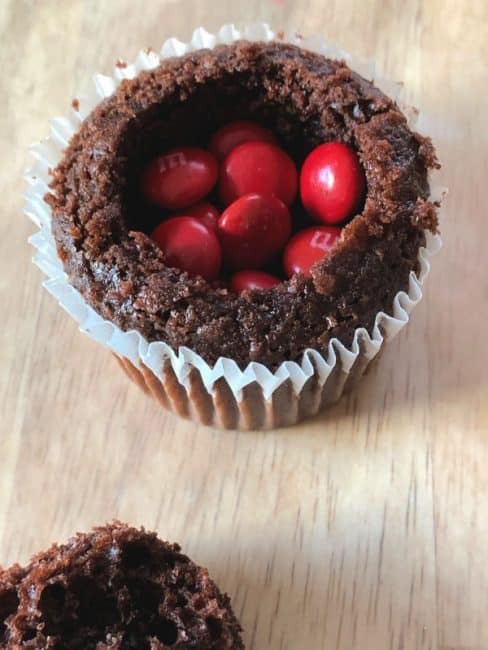 Nice idea for cupcakes. Finished my Christmas shopping a couple weeks ago. I am almost done with my shopping but not quite. Thanks for the chance. I am ordering a couple more things on Amazon tonight and am going shopping later and then I’ll be done. Yes done at least I think so! ! (well actually not quite: need to hit submit on what’s in my Amazon cart 😂) The SO is not! Yes! Finally finished with our shopping…. I think. hahahaha, that is funny. As I sit here reading your post at 114a technically Christmas Eve.. I am saying no.. The kids are bought for but no one else is. Actually, Santa is done.. and that is it! Adult Small and done shopping! Yes, I completely done shopping, thankfully. I finished all my holiday shopping early and have my sons birthday done for January too. I get too stressed to wait to the last minute to do that. I did not do any shopping this year. I am done with my Christmas shopping! Also love those cupcakes!! i was done in november. I hope so, it’s xmas! Since it’s Christmas day, I better be done! I started my holiday shopping last January and finished just a few days ago. My business was hit by a tornado over the summer and took four months to clean up. I didn’t have much free time to shop this year. I am glad that I started shopping early so I wasn’t rushing at the last minute. I would love to win this movie. My family wanted to see this in the theater but I did not have time to take them due to the cleanup. Holiday shopping is all done thank goodness. Yes, thankfully, but it took me right up until Christmas Eve to get the last gift. I finished up early last week. I was finished with shopping the weekend before Christmas. Since it is December 26th today, I am done. 🙂 Hope you had a very Merry Christmas! We finished up at least a week before Christmas-now to hit the post-Christmas sales! Our holiday was simple because I just got my daughter and I into our own place. Yes I am till next year! I am done thankfully. My favorite was a family photo. My favorite gift was new running shoes. I finished on Christmas Eve and then was up til after 2 AM wrapping. I finished shopping way later than what I normally do. My favorite gift this year has to be my mother’s ring that my son got me. barely got everything done ha fave gift: new nespresso machine! I was out shopping on Christmas Eve finishing up….procrastinating like always! I’m done with my holiday shopping because Christmas is now over. I am done with my holiday shopping. Just one more New Year’s Eve party to attend then back to the grind it is. I am completely done with my holiday shopping. I am still working on making a gift though for someone but that will take some time. My favorite gift was a new carpet cleaner and a new phone. My favorite gift this year was a homemade quilt. I am done with my shopping!! I’m all done with my shopping. My favorite gift is the watch my husband bought me. I am done with my holiday shopping. My favorite gift a spa gift card that my hubby gave me. My favorite gift was my son’s Nintendo Switch! My favorite item is the Game of Thrones BluRay set. I wish I would have gone for some after Christmas deals…I’ve started for next year gifts tho! Yep, all done with the holiday shopping! The holiday shopping is wonderful online! No problem at all. Thanks so much for the chance to win! My favorite gift was a spoon my daughter gave me. My favorite gift was my comfy new robe. My favorite gift was an instant pot. The laptop I received is my favorite gift. My favorite gift was my 23 & Me kit! My fave gift for this Xmas was a new mountain dulcimer I bought for myself.